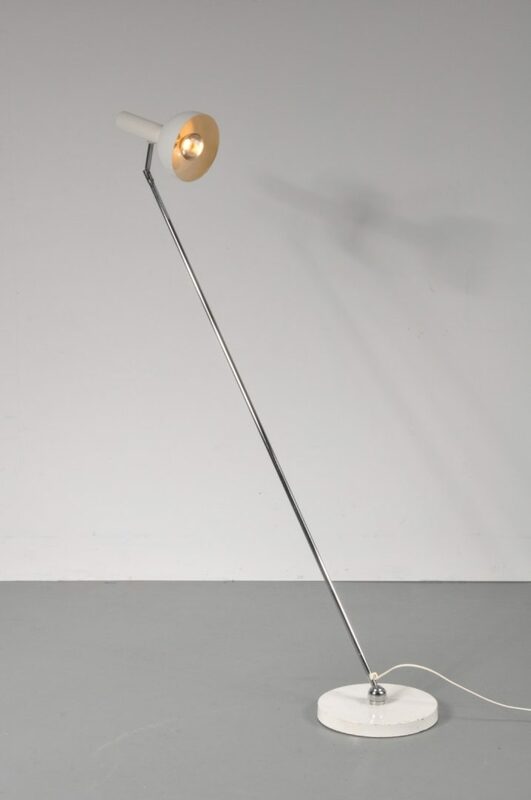 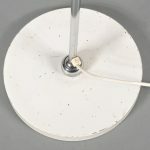 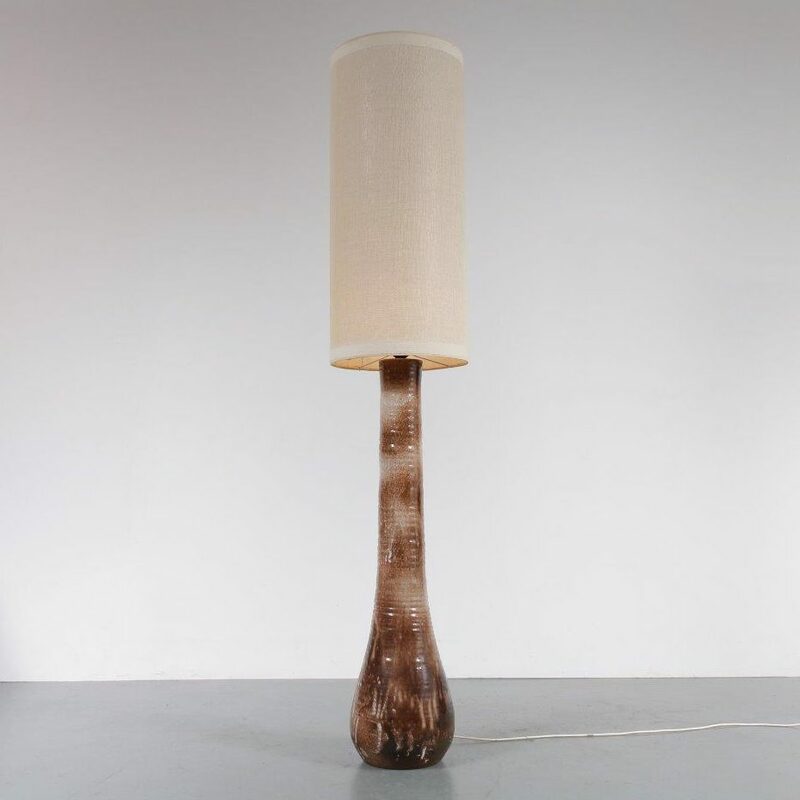 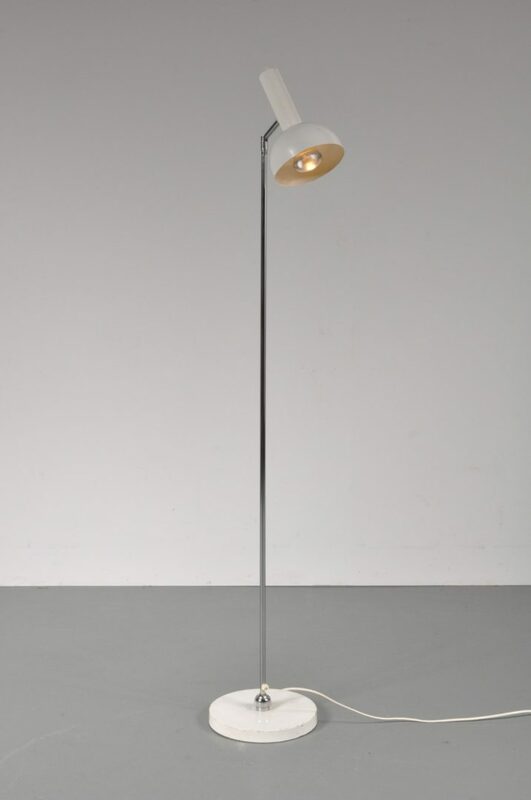 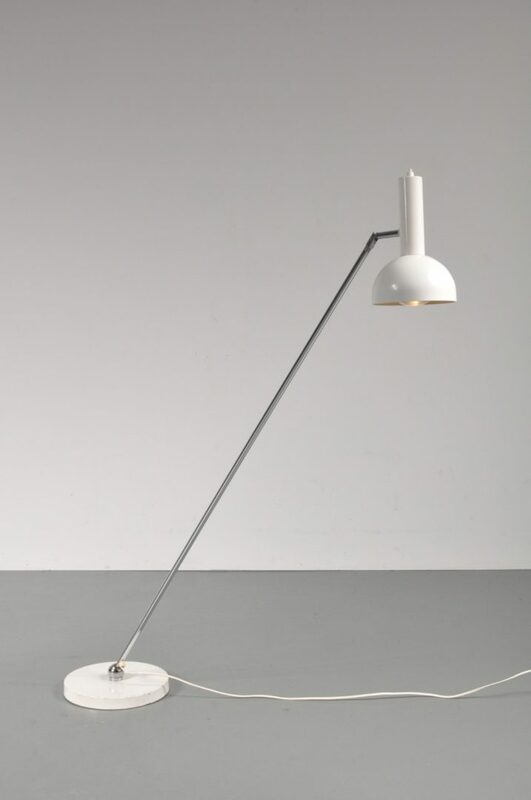 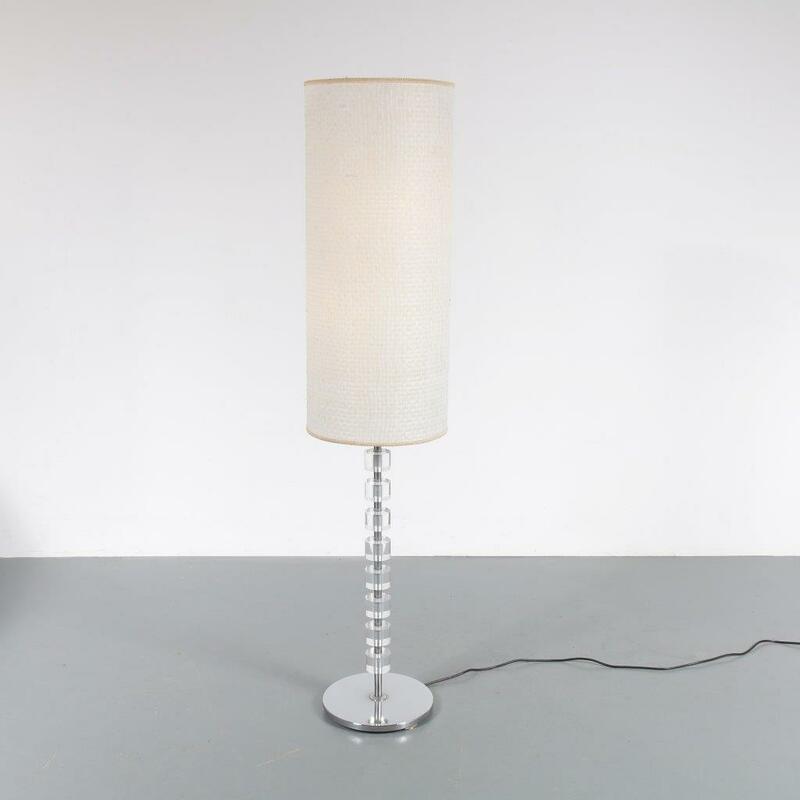 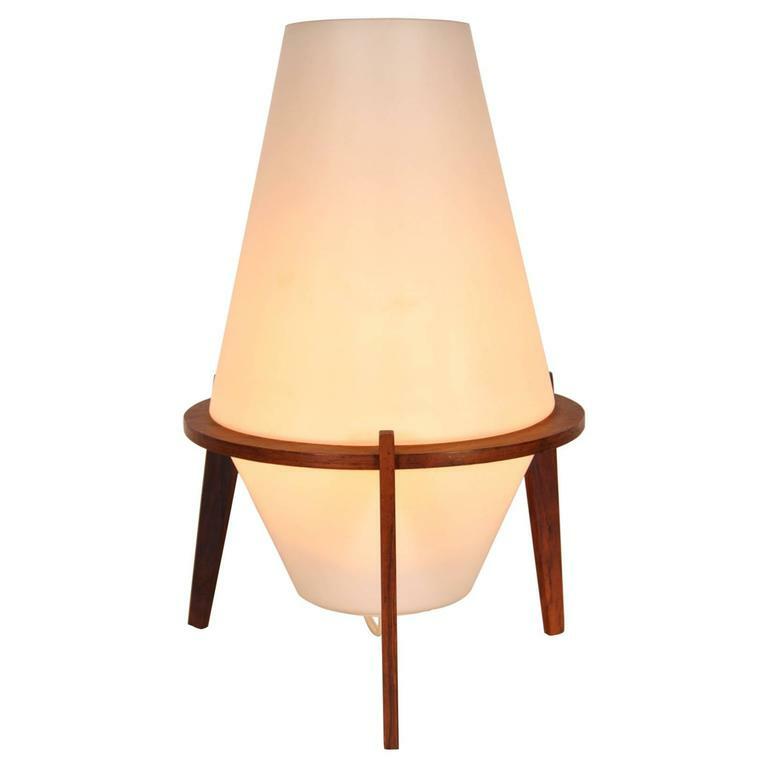 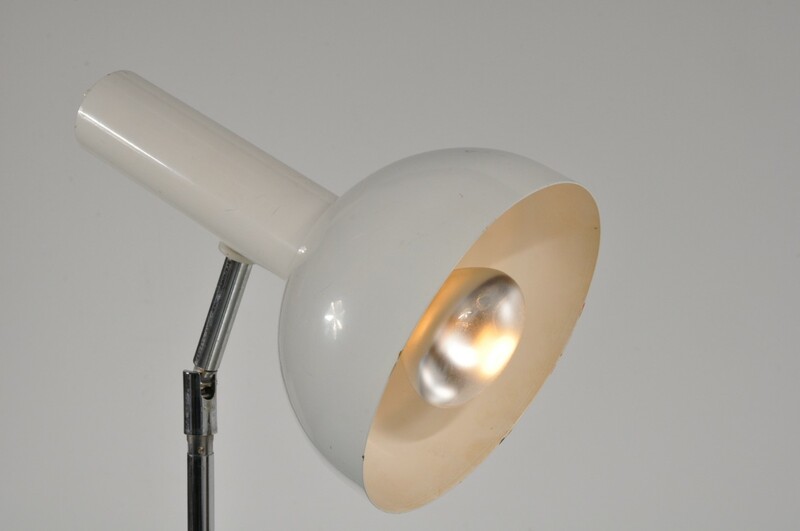 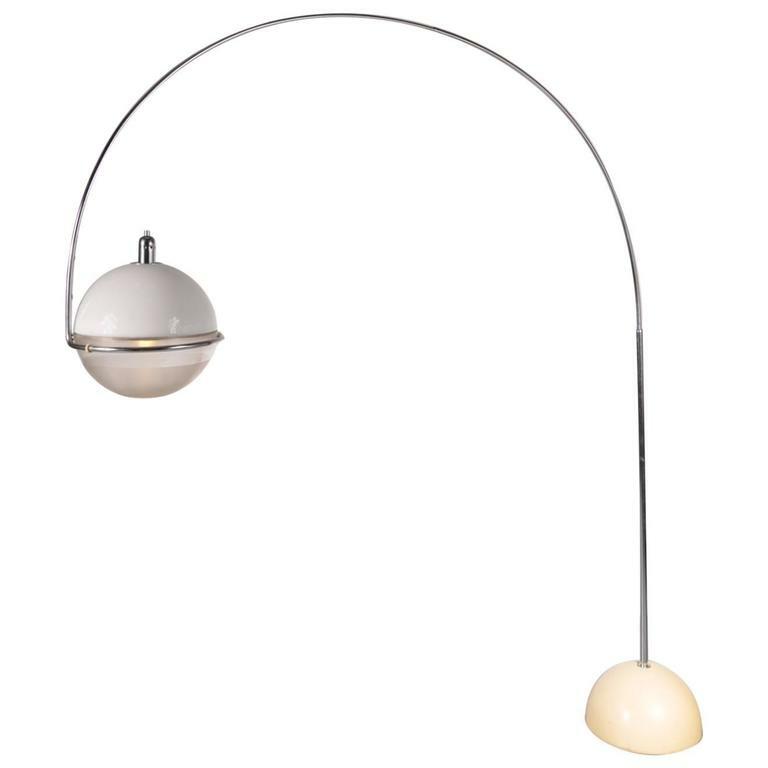 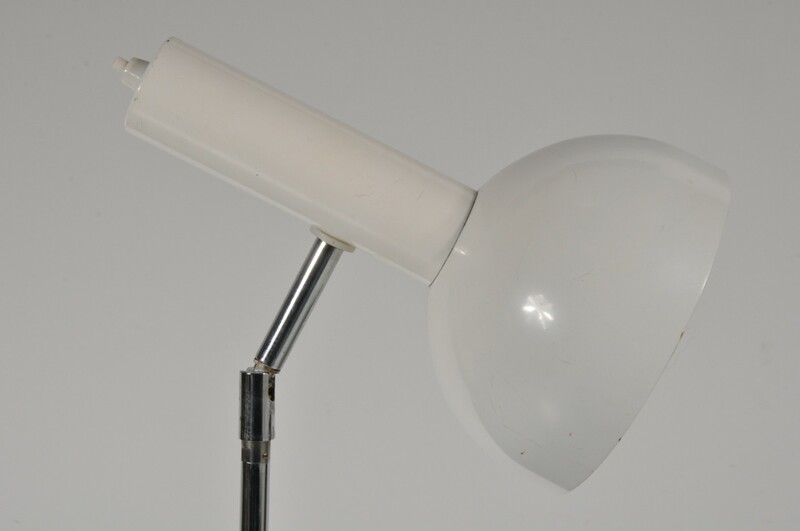 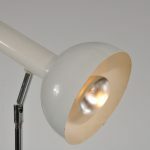 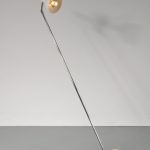 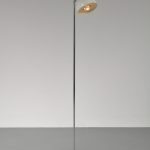 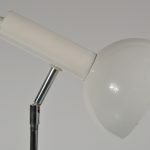 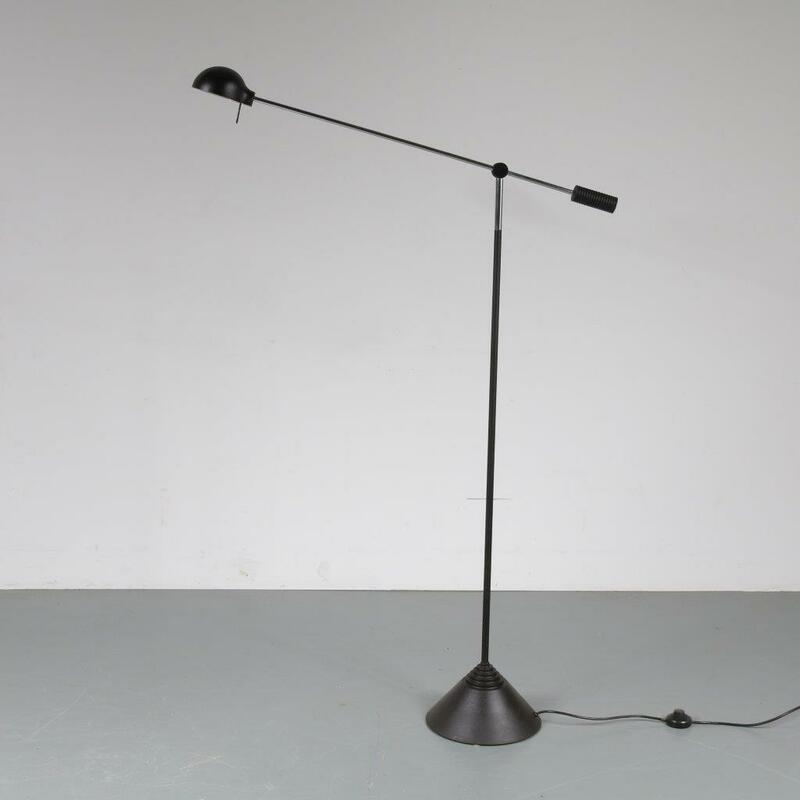 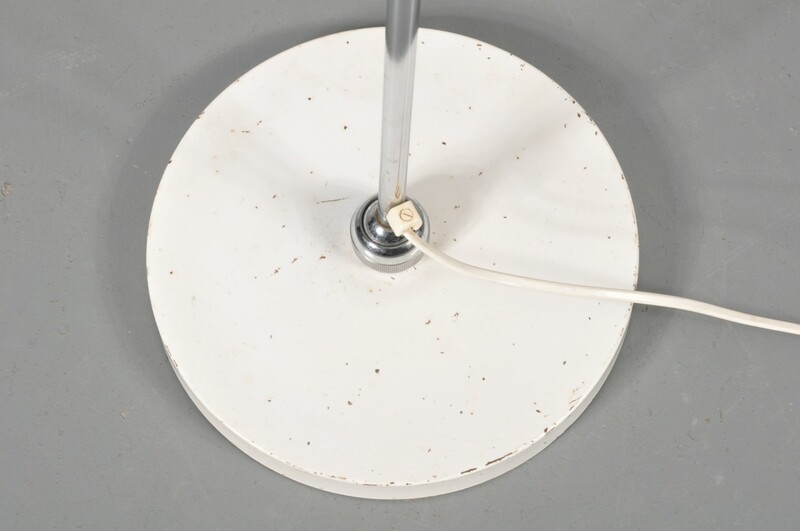 A minimalist floor lamp made of high quality chrome plated metal with a white lacquered hood and base. 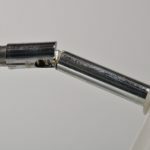 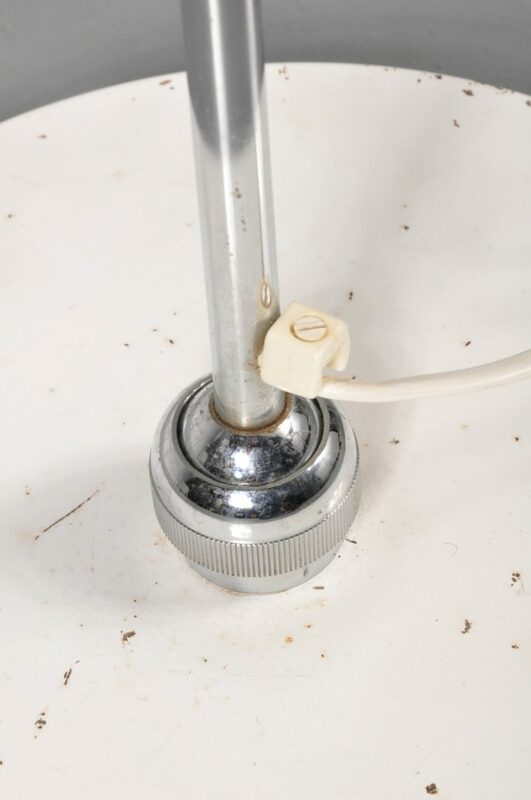 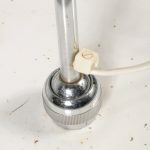 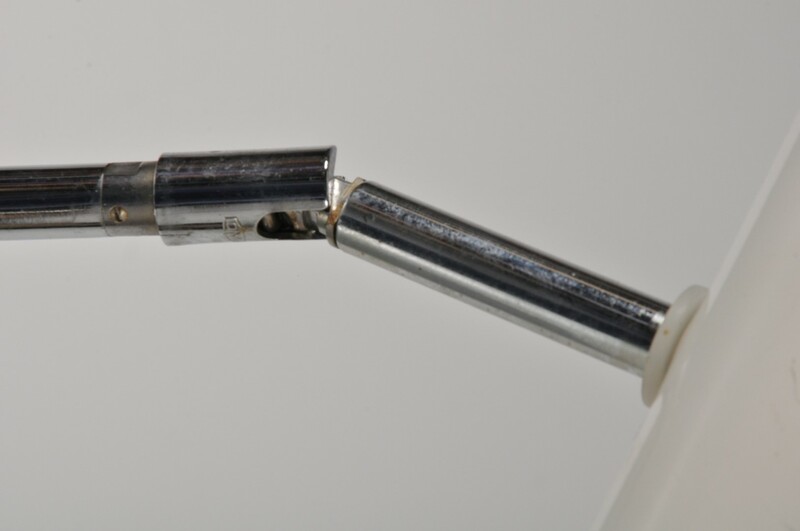 It has a ball in socket joint in the base, making it adjustable in position. 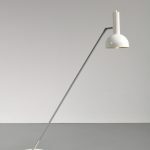 This is a typical Dutch innovation from the mid 20th century. 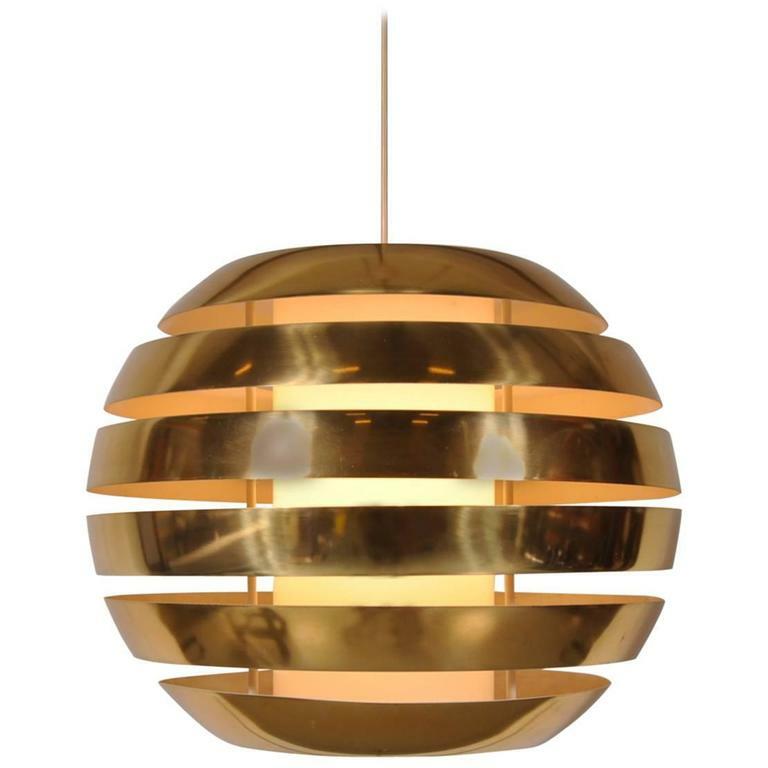 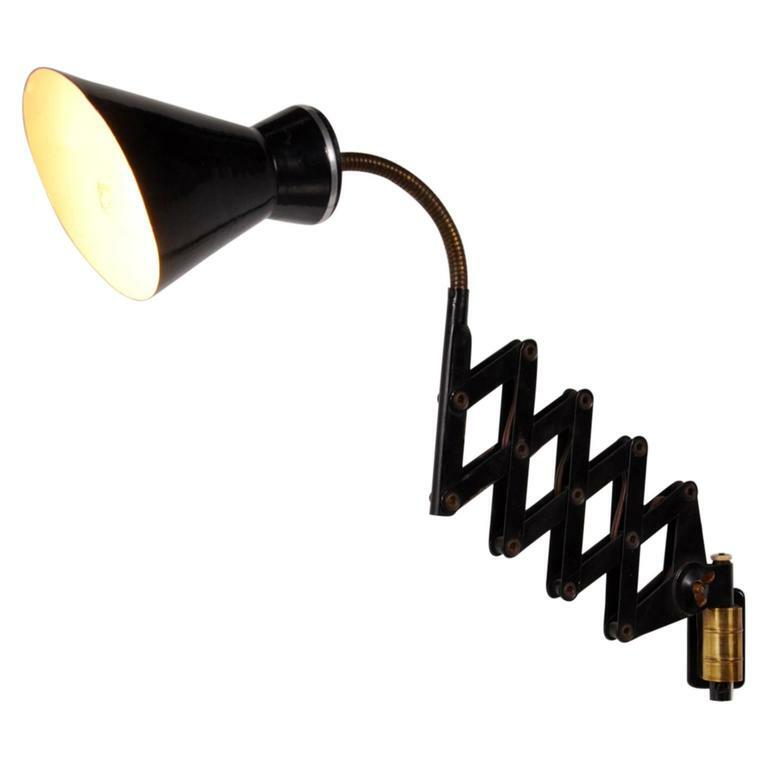 The industrial style together with the versatility of the lamp will make it a wonderful contribution to the decor. 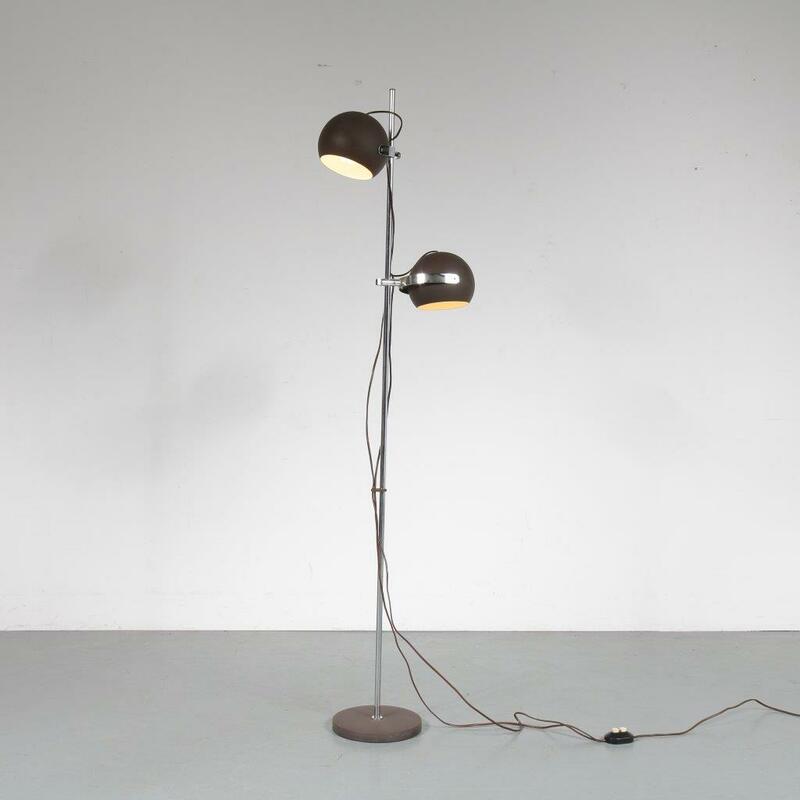 It remains in good vintage condition with a beautiful patina.